Hire Consulting Services (HCS) is a highly customized executive career transition coaching firm for executive level professionals. We excel in coaching business professionals and executives who are currently in career transition or planning to make a career change. The HCS career coaching process is very collaborative. We work as partners to define your skills and competencies and develop a strategy to conduct a professional job search campaign. Our common goal is to find the right company that values your talents. Every meeting, discussion and phone call is made with the singular purpose of helping you discover the keys and utilize the tools to help you secure a more fulfilled and productive career path. Mark S. James, CPC is the Founder and President of Hire Consulting Services. He founded HCS in 1999 and has been providing executive recruiting and career transition coaching services for over 25 years. Mark is a Certified Personnel Consultant, awarded to him in 1998 by NAPS, the National Association of Personnel Services. He focuses on providing a proven and successful strategy and a structured process to fully enable his clients to conduct a professional job search campaign in significantly less time it would take without a professional career coach. HCS clients gain a new perspective of their marketing value coupled with learning how to execute a strategic job search marketing plan, expert mock interview training, salary negotiation and closing the deal for their new role in their next job. Since 2005, Mark has been the host and facilitator of the monthly of the Southern California ExecuNet Networking Meetings for executives in career transition in San Diego and Orange County. He is also an online moderator for ExecuNet’s Consulting Executive Roundtable and has been published in several articles, books and conducted numerous seminars, networking events, career workshops and public speaking events. Mark has been a blogger since 2006 with The Career Catalyst Blog. This blog is dedicated to business managers, executives and professionals who are currently in career transition, planning to make a career change or start a new business. It’s all about “hire education” and it’s designed to be a collaborative compass to help you calibrate your career true north. Every post is made with the singular purpose of allowing you to choose the right career path by discovering trends, tools and knowledge to secure a more fulfilling, rewarding and productive career. Tim’s Strategy is a blog and website for professionals all over the world. Since 2008, we’ve been helping job seekers through the strategy and psychology of a successful job search. Whether you’ve been fully employed to this point in life or have been laid off before, our economy suggests a bumpy and unpredictable ride. It will require each of us to actively develop our own brands, maintain an active network and continually prove our value. Stop by the site today to see how we can help. The blog “Tim’s Strategy™ – Ideas for Job Search, Career and Life” has more than 4,000 subscribers and is read in 126 countries. Tim’s Strategy began in September 2008 as a way to give back to the community that supported Tim during his 2007 job search. You can learn more at http://timsstrategy.com/blog and follow him on Twitter (@TimsStrategy). 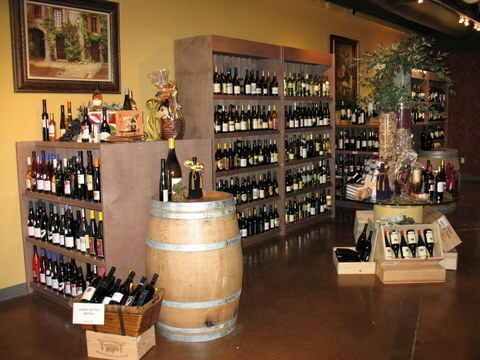 Welcome to Salt Creek Wine Company, a retail wine shop and tasting bar. Your hosts Bob & Heidi Fisher have created a warm, relaxing and inviting space for you to discover and enjoy a great selection of small production boutique wines. Each wine is personally selected from small, boutique wineries with limited distribution. Their goal is to provide premium quality wines from smaller, less commercialized, producers that focus on quality winemaking techniques and terroir. We offer a discount for Laguna Niguel Connector members who purchase on the night of a the monthly Wednesday night meeting. Turning Point Coaching is a boutique career firm established in 1998 and provides comprehensive career transition services across the United States. Turning Point Coaching offers highly personalized Coaching Sessions, Workshops, Tele-classes and Keynote Speaking Engagements on a myriad of popular career topics. Their holistic approach emphasizes the “soft skills of success” and combines real world common sense with a practical, proactive plan of action and bottom line results. Through this approach individuals discover their strengths, gain a clear sense of direction, develop new relationships, land new job opportunities and create long lasting inner change both personally and professionally. 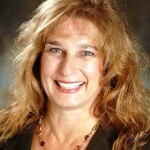 Heather Wieshlow is the Chief Career Strategist and Owner of Turning Point Coaching. Her insightful and interactive style combines over 20 years of business expertise with a solid foundation based on holistic principles and real-world common sense. LNC Shifting to Only 1st Wednesday of the month Evening Meetings!